Stop-and-frisk activity by NYPD officers continued to decline in the second quarter of this year, dropping just over nine percent from the previous quarter and putting the city on pace to come in with less than 28,000 stops in 2015. Police officers carried out 6,469 stops in the quarter ending June 30, compared with 7,135 in the first quarter of this year, according to figures obtained by Newsday. The quarterly pace so far this year suggests that the NYPD will carry out slightly more than 27,000 stop-and-frisks, a fraction of the 685,000 done in 2011, the highest level ever recorded. When he took over as NYPD commissioner in January 2014, William Bratton said stop-and-frisk had been overused by his predecessor Ray Kelly. Cops immediately began reporting markedly fewer stops, performing just over 46,000 in Bratton's first year. Critics have said the drastically reduced number of stop-and-frisks has emboldened criminals and may have led to an increase in shootings in the first half of this year. Bratton has insisted that the drop in stop-and-frisks has nothing to do with a rise in shootings. A recent study done by Prof. David Weisburd of George Mason University in Virginia found that stop-and-frisks produced a "significant though modest deterrent effect on crime" at small street segments, particularly in the Bronx. An NYPD spokesman said Wednesday the department was still reviewing the Weisburd study. The spokesman said that while the number of stops have gone down, officers are getting higher rates of gun recoveries but couldn't provide statistics. The latest data showed that 15.9 percent of stops led to arrests. 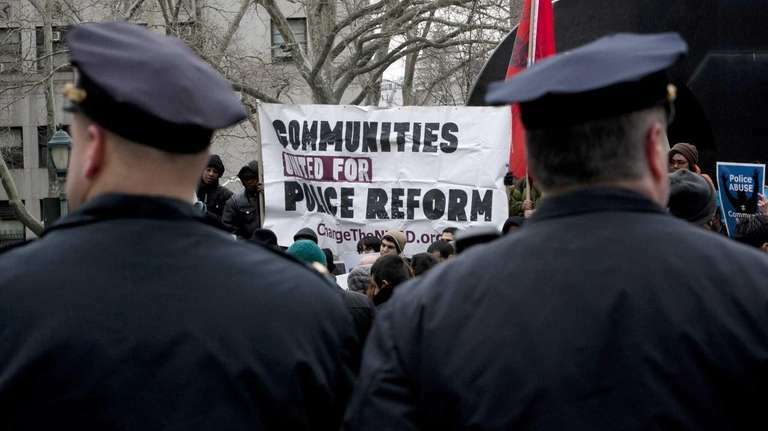 The city is now operating under a 2013 settlement of a Manhattan federal lawsuit where Judge Shira Scheindlin ruled the NYPD's stop-and-frisk practices violated the constitutional rights of blacks and Hispanics. A special monitor was appointed to oversee reforms. Monday the court approved revisions in the police Patrol Guide designed to strengthen prohibitions on racial profiling and to school officers in when to use stop-and-frisks. The court also approved use of "receipts" that officers can issue to people subjected to a certain level of stop-and-frisk activity. According to the latest police data submitted to the City Council, the percentage of blacks and Hispanics subjected to stop-and-frisks was 81.5 percent, about the same as in the first quarter and close to historic averages. Whites accounted for 10.4 percent of stops and Asians 6.1 percent, the data showed.